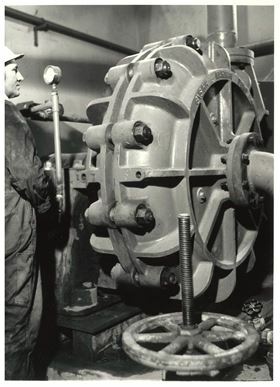 A Warman pump in the 1950s. A Warman pump in Kalgoorlie. Invented by Charles Warman in Kalgoorlie, Western Australia in 1938, the Warman slurry pump used replaceable liners and a replaceable impeller, something that had never been done before. The Weir Group acquired the Warman pump in 1999. “Warman is one of our leading brands. It has truly shaped the mining industry over the past 80 years and is a product we are all very proud of. 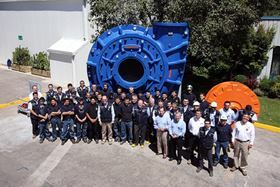 The Warman pump, invented to solve high wear issues in slurry pumping, created a thriving industrial business that is now the cornerstone of Weir Minerals with over 8000 people, and over 150 manufacturing and service centres across the globe,” said Ricardo Garib, divisional president of Weir Minerals. 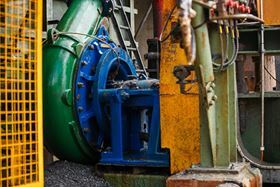 Weir Minerals has also developed its own IoT platform Synertrex™, which can be fitted to a Warman® pump to monitor its performance. In honour of the Warman brand, Weir Minerals hosted an event at the end of May in Kalgoorlie for key customers, past and present employees, and members of the Western Australian School of Mines. 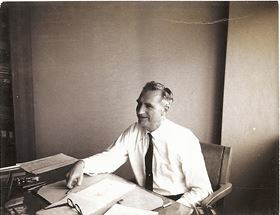 Following the anniversary event, Weir Minerals has embarked on a six month celebration, sharing the history of Warman, commemorating the generation of experts behind the brand, highlighting key innovations behind the pump and telling the stories of the long-standing pumps on sites around the world.